Some good news made our day today. 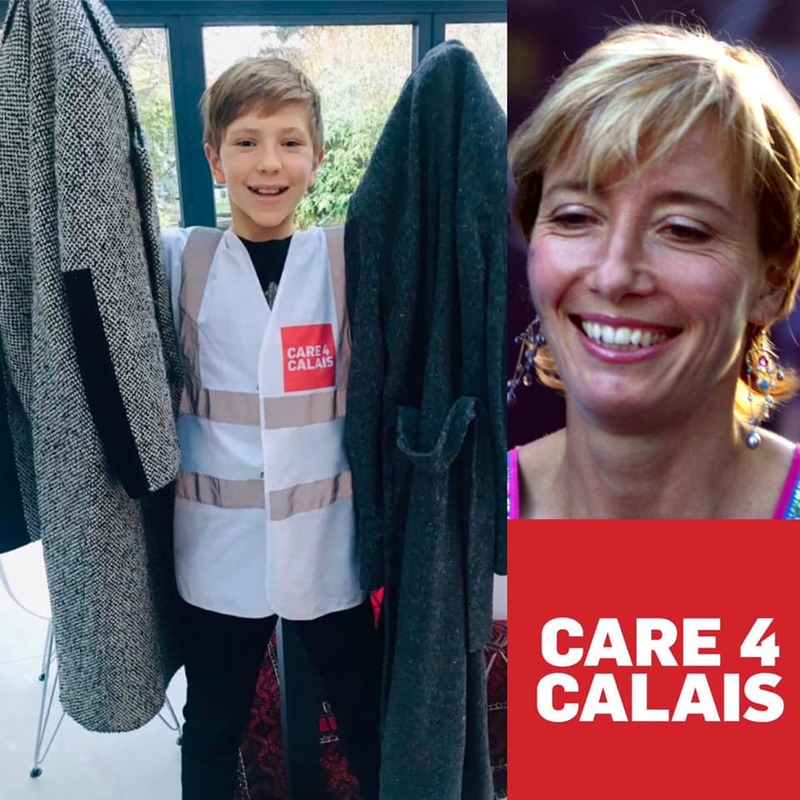 Mikey Hawkins, age 11 and Care4Calais’s youngest volunteer, asked the famous actress Emma Thompson for a coat to give to a refugee in Calais. The lovely Emma sent him two! When we tell people what is happening in Northern France so often the response we see is kind. Thank you so much Emma! Right now there are over 3,000 refugees living outside in France, and temperatures are below freezing. Our volunteers are working with them every day – but its awful when we go home at night knowing they have nowhere safe or warm to hide. Our simple goal is to provide each and every one of these refugees with a warm winter coat. To do this we URGENTLY need your help. We are asking everyone to look in your cupboards for a winter coat that you no longer wear.